The April speaker is Sabrina A. Fish. She is the award-winning Author of the Fantasy Romance series, The Gate Keeper Chronicles, and three YA Fantasy novellas in the multi-author Shine series created by New York Times best-selling author, William Bernhardt. She proudly holds a Bachelor’s degree in Political Science from the University of Oklahoma. BOOMER SOONER! 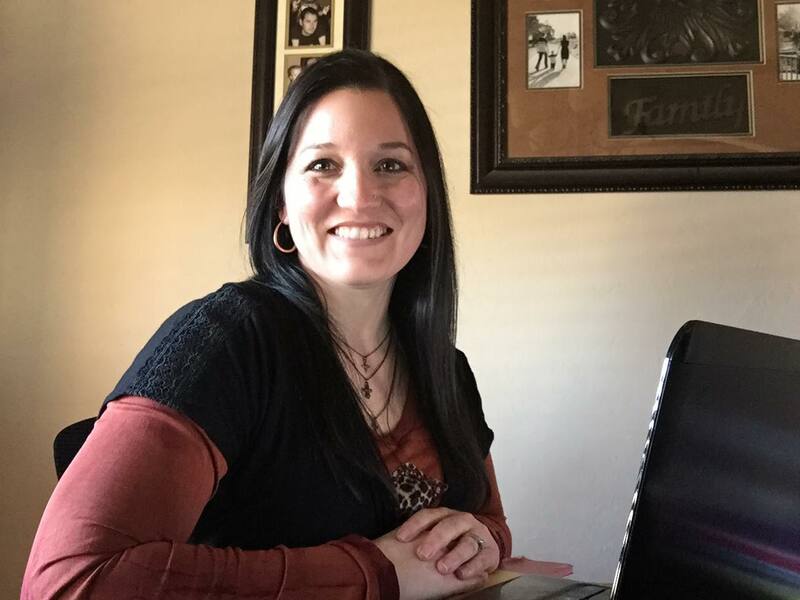 Sabrina advocates being involved in the local writing community, and is the 2018 President for the Oklahoma Writers' Federation, Inc.(OWFI). She is an annual featured speaker at the Rose State Writing Conference and has been a panelist at Wizard World Comic Con. Born and raised mostly in Oklahoma(ask her sometime about the three years she spent lost in a rabbit hole that looked a lot like Texas), she currently lives in Oklahoma City with her husband, son, and two cats, where she owns a trophy company and collects names for her novels from lists of award recipients. She loves all things chocolate and her husband is sweet enough to never let the candy dish near her computer become empty. When she isn't writing & promoting her novels or running her company, she can be found reading, scrapbooking, or spending quality time with her family. New York Times best-selling author William Bernhardt is the March speaker. He is the author of the Ben Kencaid series. His historical novel Nemesis:The Final Case of Eliot Ness is currently being adapted into a miniseries for NBC. He has also written a book of poetry titled The White Bird, as well as a series of books on writing fiction, plays, a musical, and children's books. Mr. Bernhardt has received numerous writing-related awards, including the Southern Writers Guild's Gold Medal Award, the H. Louise Cobb Distinguished Author Award, and the Royden B. Davis Distinguished Author Award. In 2013, Mr. Berhardt won on Jeopardy! 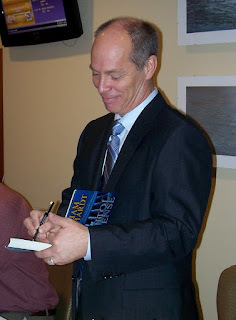 On August 30 -- September 2, 2019, Mr. Bernhardt will host WriterCon 2019 in Oklahoma City. For more information, see: www.writercon.org. Members of the Norman Galaxy of Writers will enjoy a $45 discount for WriterCon2019. William Bernhardt's website is: www.williambernhardt.com. WHAT, WHEN, & WHERE: The winners of the annual Norman Galaxy of Writers contest will read their entries on Saturday, January 12, 2019, at the Norman Public Library, 225 N. Webster, Norman, Oklahoma, from 10 a.m. to noon. We want to hear as many entries read as time allows, so if you won any place or Honorable Mention, please bring your entries with you to be prepared to share your writing. Due to inclement weather, the original holiday has been changed as noted below! You are cordially invited to attend the Norman Galaxy of Writers Awards Banquet! WHEN: December 15, 2018. Dining begins at 11:00 a.m. Arrive at 10:00 a.m. if you would like to help decorate. WHERE: The University Lutheran Church, 914 Elm Avenue, Norman, OK. Parking is available on College Street behind the church. The Galaxy Officers are bringing meat dishes. Everyone else is welcome to bring a side dish (vegetables, bread, dessert, etc.). On Saturday, October 13, 2018, Mark Twain will speak to The Norman Galaxy of Writers. Well, at least, author Dan Snell will be appearing as Mark Twain. This event will take place at the Norman Public Library, 225 North Webster, Norman, OK, Gallery Room. McFarlin Methodist Church, date TBA. Norman Newcomers Club: October 8, 2018, 10 p.m. Curiosity Fest by the Oklahoma Humanities Council, OKC Civil Center, October 20, 2018, 1 p.m. to 2 p.m.
Henderson-Tolson Center, Norman, December 6, 2018.